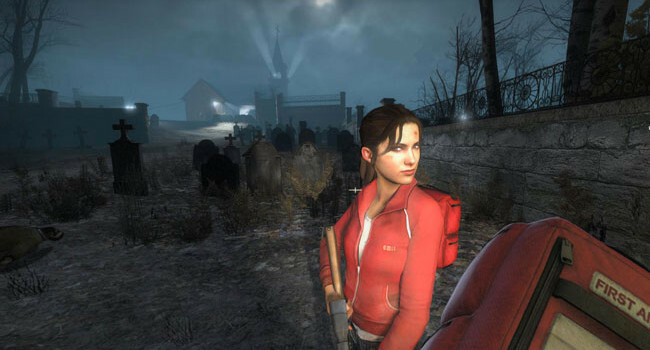 In Left 4 Dead, Zoey is a film major who likes skipping classes to watch horror movies. Little does she know she’s about to live through one when everyone around her becomes infected with the Green Flu. In Pacific Rim, Mako Mori (Rinko Kikuchi) is an officer of the Pan Pacific Defense Corps and Raleigh Becket’s badass co-pilot. She lost her family in a Kaiju attack when she was a little girl, so she has a score to settle. In the Portal games, Chell is essentially a lab rat for Aperture Science, performing tests under the supervision of the AI bot GLaDOS. It’s not long before Chell sees her chance to escape the testing facility using her portal gun.